I travel to Erie pretty frequently and would like to find a dance comunity to connect with. 19 years old. I just want to dance, meet people and have a good time. I am 23 years old, a student at IUP looking for a dance club nearby that offers dance lessons. 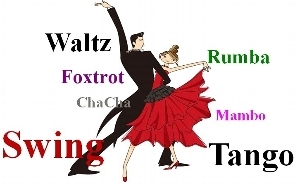 I have a little knowledge on the basic steps especially the ballroom dances. I am looking forward to gaining more expertise in the dances. Your response will be highly appreciated. Beginner lessons in ballroom dancing and similiar for my spouse and myself.